Charter vacations tend to predominantly take place in three island groups which are the Ionian Islands, the Argo-Saronic Islands and the Cyclades. All of which lie within closer proximity of the country’s capital of Athens which makes for favorable cruising time and thus lower fuel costs. Although there are many stunning islands lying outside of these popular charter groups. such as Crete and Dodecanese. they tend to lie much closer to Turkey than Greece, making for lengthy cruising times which will result in less than appealing fuel bills. The Greek Islands offer endless opportunities for spectacular cruising and although marina facilities are a rarity here, this only makes for more beautiful coastlines and the ideal for visit with a catamaran. Bareboat sailing in Greece is the adventure of a lifetime. Cruising past ancient ruins, docking at picturesque towns, dropping anchor in secluded coves, and swimming at beach side resorts are just a few of the many pleasures. 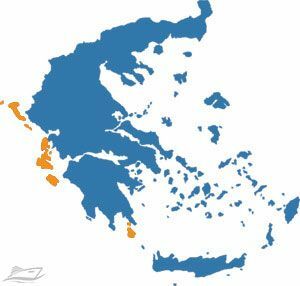 With four bases in Greece, the selection of destinations is wide, encompassing the Cyclades, Dodecanese, Sporades, and Ionian islands. A Catamaran Charter Greece in the Aegean Sea offers exhilarating open-water passages, uninhabited islands, and chic resorts. The Ionians are sheltered and the Sporades are wooded, remote, and a world apart from bustling crowds. The Ionian group of islands is situated off the west coast of mainland Greece, but it is more reminiscent of Corfu’s neighbor Italy. Because of the high amount of rainfall it receives, the vegetation is lusher than on the other islands. Each of the islands has it’s own unique culture and cuisine.